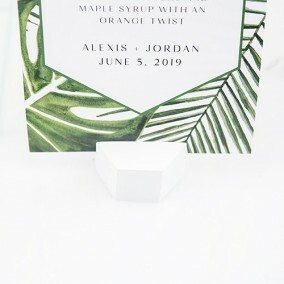 Use for place cards, menu cards, table numbers or food markers at weddings, showers or any other special occasion that requires an element with contemporary flair. 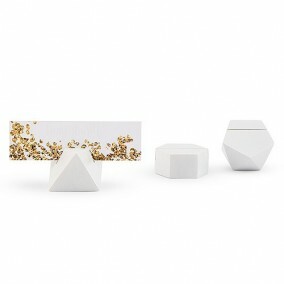 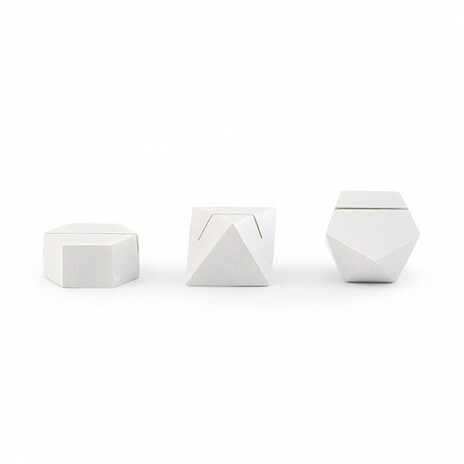 Add a modern touch to your table top décor with these crisp white Geometric Card Holders. Made from sturdy resin, each set includes 3 different multifaceted shapes for an added layer of style. 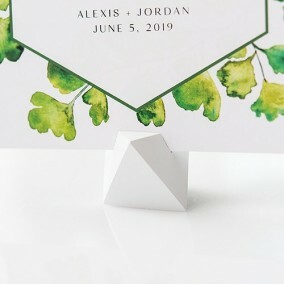 Use for place cards, menu cards, table numbers or food markers at weddings, showers or any other special occasion that requires an element with contemporary flair.